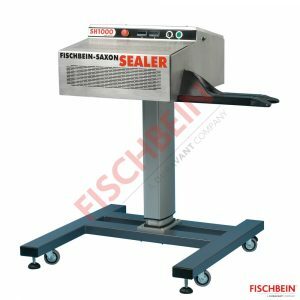 The state-of-the-art Hot Air Sealer SH 1000 confirms Fischbein-Saxon’s supremacy in hot air sealers technology. It is a smart solution for your bagging needs. The Hot Air Sealer SH 1000 uses the principle of heat transfer by convection. It uses ambient air which is transmitted to specially designed heating capsules where it is then passed over a heating cartridge which heats the air close to the bag mouth. This hot air is then blown onto the bag to promote the sealing process.